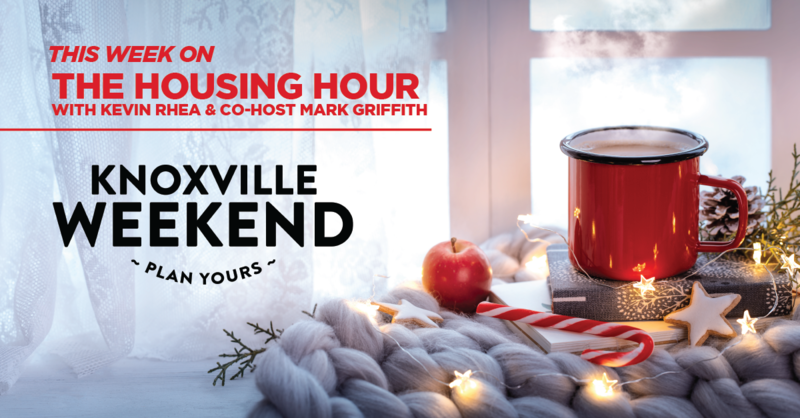 Knoxville Weekend is back this week on The Housing Hour! Slocum joins The Housing Hour to help ‘haul out the holly’! Erin tells us all the fun Yuletide events filling the Knoxville Weekend Calendar! Erin‘s been calling Knoxville her home for the last 13 years. She’s found her professional calling as a marketing specialist with fields of expertise in verbal & visual communication, digital media, social content – and as Executive Director of Knoxville Weekend. Be sure to tune in on Saturday from 3:00-4:00pm on NewsTalk 98.7FM!